One hundred years ago, on 16 November 1917, Terence MacSwiney was court martialed in Cork for wearing an Irish Republican Army (IRA) uniform and drilling and training volunteers on 21 October 1917. Terence’s arrest was part of Westminster’s Defence Against the Realm Regulations. It was part of the rounding up of forty-seven Sinn Féin officers who were openly drilling, training, parading and wearing uniforms. The arrested men were from Cork, Kerry and Limerick and were lodged in Cork County Gaol, next to University College Cork. Prohibitions against drilling, wearing uniform, carrying arms or even hurleys, had been announced by the British authorities. The ﬁrst public challenge to these restrictions on a national scale was made by Sinn Féin in October 1917. On Sunday 21 October public parades were held all over the country in honour of Thomas Ashe who had died on hunger strike in Mountjoy Gaol, Dublin on the previous 25 September. Terence MacSwiney organised a public parade of the two city battalions. Battalions mustered several hundred men outside their closed hall in Sheares Street and marched via Lee Road to Blamey and back again to the city. Tomás MacCurtain led the recitation of the rosary at the National Monument at the conclusion of the parade. 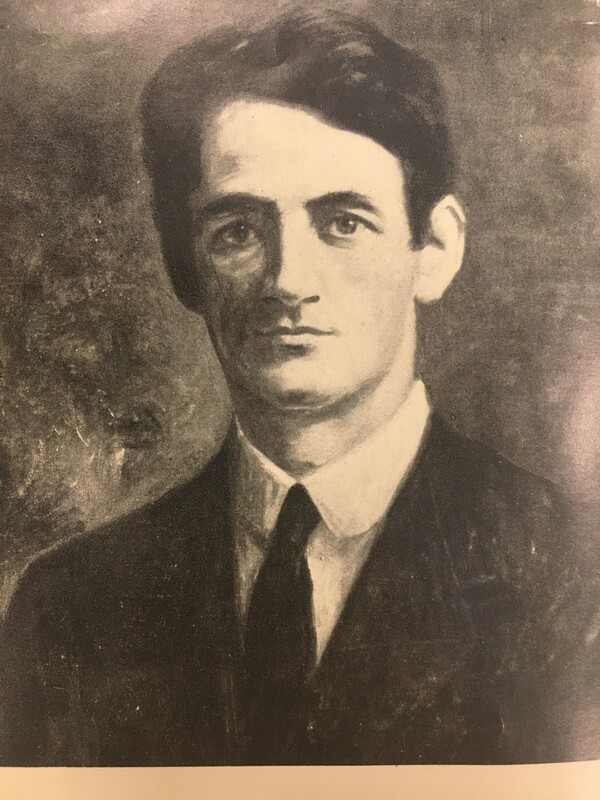 Tomás MacCurtain, Terence MacSwiney and the officers were subsequently arrested. According to the recorded proceedings of the court martial trial on 16 November 1917, Terence MacSwiney did not answer when called upon, and subsequently answered in Irish. Asked if he found any objection to being tried by the Court, he again replied in Irish, and the President of the court martial session noted that if he did not answer in English he would be committed for contempt. Terence repeated his observation. Evidence was then given to drilling at Mount Desert by a party of about 500 men who subsequently marched through the city. Tomás MacCurtain and the other five prisoners adopted a similar approach to that of Terence MacSwiney in speaking in Irish. The companions included John O’Sullivan (Abbey Street), Frederick Murray (Sunday’s Well Road), John Murphy (Friar’s Walk), Christopher O’Gorman (O’Connell Street), and Patrick Higgins (Dominick Street). Each were sentenced by the court to one year-imprisonment without hard labour. Terence MacSwiney went on a hunger strike for three days prior to his release. He was rearrested four months later to complete his sentence. Terence’s internment in March 1918 caused him to miss two major life events – the birth of his daughter, Máire, in June, and his election to the first Dáil as TD for Mid Cork, in December. Released in Spring 1919, he took his seat. In 1916 there were a handful of hunger strikes, contesting punishments imposed by the prison authorities. The technique was adopted in earnest in 1917. Forty prisoners on hunger strike were forcibly fed, and this procedure killed Thomas Ashe. Originally from Kerry and a teacher by profession, Thomas Ashe was a prominent activist in most of the major nationalist organisations of the pre-independence period, including the Gaelic League, the Gaelic Athletic Association, the Irish Republican Brotherhood, and the Irish Volunteers. Ashe was responsible for leading the Irish Volunteers at the battle of Ashbourne in County Meath, the most significant military engagement outside Dublin during the Easter Rising. He became a key figure in the reorganisation of republicanism in 1917. Thomas Ashe was arrested in August 1917 and charged with sedition for a speech that he made in Ballinalee, County Longford. He was sentenced to two years hard labour. Whilst in Mountjoy Gaol, Thomas Ashe (32) and other prisoners demanded prisoner of war status instead of that of ordinary criminal. As a result of prison staff taking away their beds, bedclothes and possessions, they went on hunger strike on 20 September 1917. Forcible feeding began on 23 September. When Thomas Ashe was forcibly fed and immediately collapsed afterwards. He was transferred to hospital where his condition continued to deteriorate, and he passed away. Over the next two and a half years, hundreds of prisoners went on hunger strike; almost all gained concessions and often release. This strategy was release and re-arrest, legalised by the ‘Cat and Mouse’ (Prisoner’s Temporary Discharge of Ill Health) Act of 1913. It had been utilised with some success against the suffragettes. Under the Act, the hunger striker would be released when their condition had deteriorated considerably; when she had recovered her health, they served the rest of their sentence. In practice, released prisoners were re-arrested only if they participated in militant protest. The Act proved effective by deterring the activities of leading militants—if not in prison, they were either physically incapacitated or preoccupied with escaping recapture. There are many examples of the above Cat and Mouse Act revealed across newspapers such as the Cork Examiner. For example, four Dunmanway men – Messrs O’Mahony. McCarthy, Ahern and O’Neill, who had been released from Cork County Gaol and their hunger strike on 17 October 1917 were re-arrested on Thursday 6 November. They resumed the hunger strike, refusing to take any food in the prison. 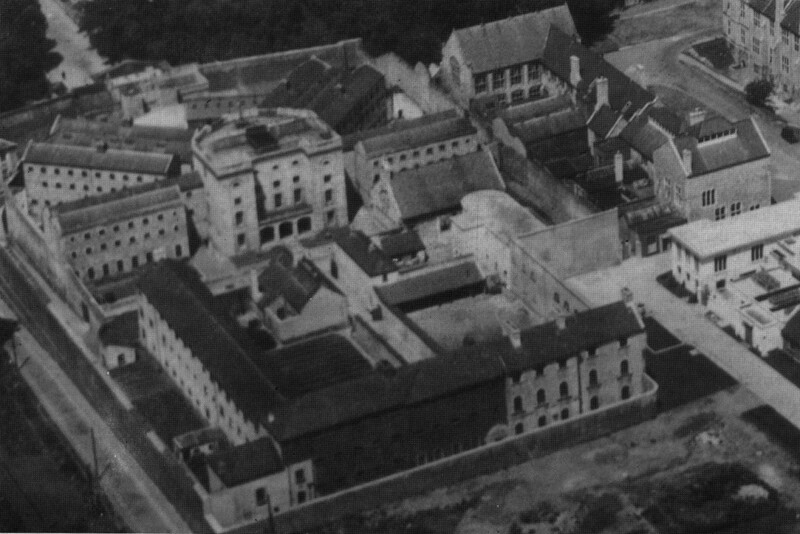 Another example took place on Monday morning at 7am, 19 November when sixteen prisoners, just tried by court martial for offences were removed from Cork County Gaol and taken to Dundalk prison. Whilst the deportation went on, from noon on that day approximately twenty prisoners who had been court martialled and jailed in Cork County Gaol over the previous weekend in consequence of their demands to be recognised as political prisoners went on hunger strike. Secret Cork, which is my 2017 book and published by Amberley Press, is now in Cork bookshops.